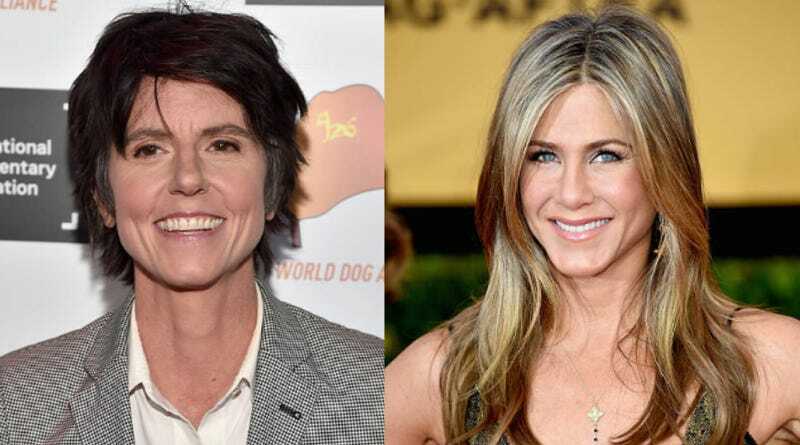 One day perhaps far, far in the future, a woman will be in the real White House, but until then there’s Netflix, which has given Tig Notaro the freedom to make an entire fantasy movie about that future day, with Jennifer Aniston starring as President of the United States. This one’s not your usual White House comedy. First Ladies is a political comedy about America’s first female President and her wife, The First Lady. When Beverly and Kasey Nicholson move into the White House, they’ll prove that behind every great woman… is another great woman. Sounds like a delightful romp, though I’d be happy to never watch a piece of fiction about politics ever again. Make them the first gay astronaut couple to go to Mars, or lesbian pirates, or restaurant moguls who are also in love. If we’re going to lean into escapist fantasy, we could go a lot harder. Tig Notaro Says Harvey Weinsteins Are "Everywhere"